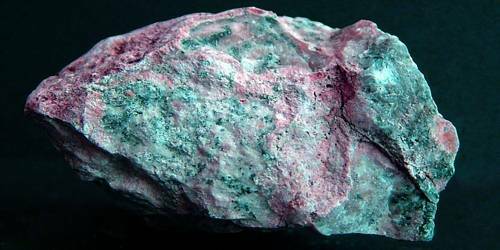 Larnite is a member of the olivine group of minerals. It is a calcium silicate mineral with formula: Ca2 SiO4. It is a mineral consisting of the unstable beta form of calcium silicate, found in limestone or chalk in contact with semi molten basalts. It is a grey mineral that is a metastable monoclinic phase of calcium orthosilicate, stable from 520 to 670°C. It is a high temperature, a monoclinic polymorph of calico-olivine. It was first described from an occurrence at Scawt Hill, Larne, Northern Ireland in 1929 by Cecil Edgar Tilley and named for the location. Larnite is either colourless or grey in colour. It has transparent to translucent appearance, white streak, good cleavage and vitreous lustre. It generally forms anhedral to subhedral crystals in matrix. 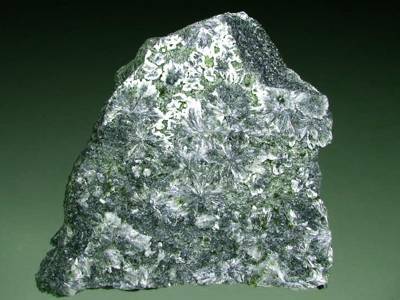 Larnite occurs in contact metamorphic terranes involving sedimentary carbonate rocks. It is closely associated with spurrite, melilite, mayenite, brownmillerite, hydrogrossular, scawtite, kilchoanite, rankinite, wollastonite, perovskite, merwinite and gehlenite. At the type locality, it occurs with wollastonite, spurrite, perovskite, merwinite, melilite and gehlenite. It occurs in contact metamorphosed limestones and chalks adjacent to basaltic intrusives.